These are five of the twenty-six words, one for each letter of the alphabet, that appear in Weighty Words, Too. 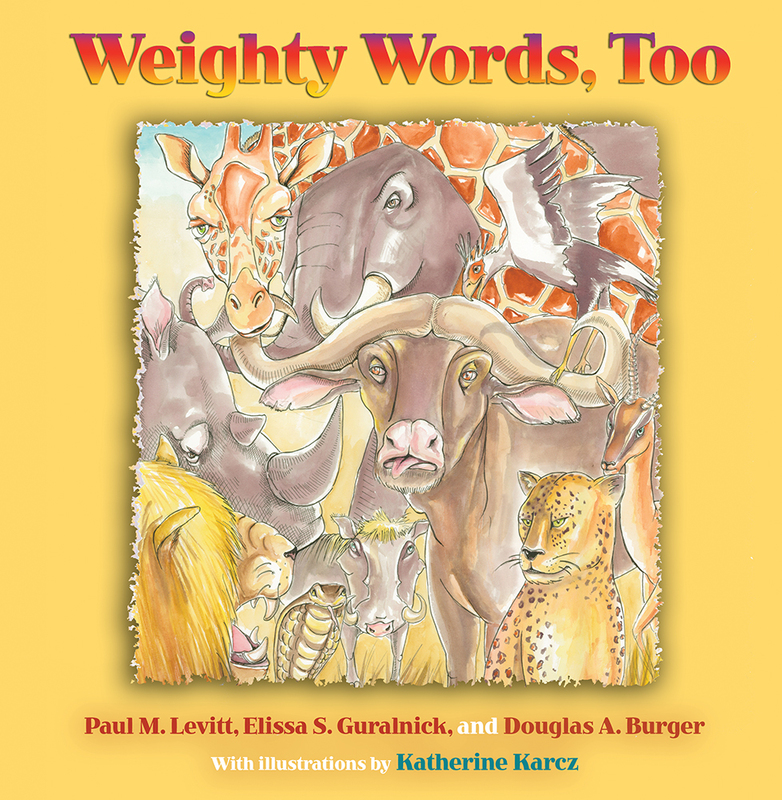 As with the earlier Weighty Word Book, the stories, often fanciful, help young readers build their vocabularies. "Hibernate" tells the tale of Nathaniel, a very energetic Canadian bear, who plays in the snow with the other bears. Soon all the bears tire and want to sleep, with the exception of Nate. "He's hyper," one grizzly bear observes. "If it's winter sleep you want," advises Nathaniel, "then I suggest you do the opposite from me, hyper Nate." So, whenever animals sleep through the winter, think of "hyper Nate," and you will remember the word HIBERNATE. Katherine Karcz, the illustrator, received a BFA from the University of Massachusetts in Amherst, and an MA in art education from Montclair State University in Montclair, New Jersey. She has been working in commercial illustration for nine years and is currently teaching art in Clifton, New Jersey.